We have been doing birthdays, cub scout day camp, and many other activities! I just wanted to share our outdoor setting for my daughter's birthday. I know it's not the traditional Monday Made It--but it was fun! Original sprinkler and kids wash with our double long slip n slide. Loads of fun! We also had two pools set up in the yard and sponge balls! 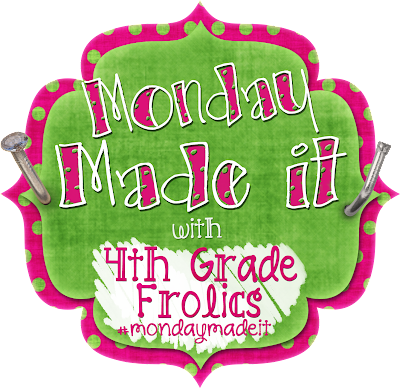 To find other great ideas for the classroom--which I usually share--go to 4th Grade Frolics and look at all the great ideas out there! That looks like it would be super fun! Back to School Bloglovin Blog Hop and a Giveaway! Minute to Win It: Math Facts Style!